Seattle’s mayor and King County’s executive are thinking about the consequences of a Donald Trump presidency, and they don’t like what they see. 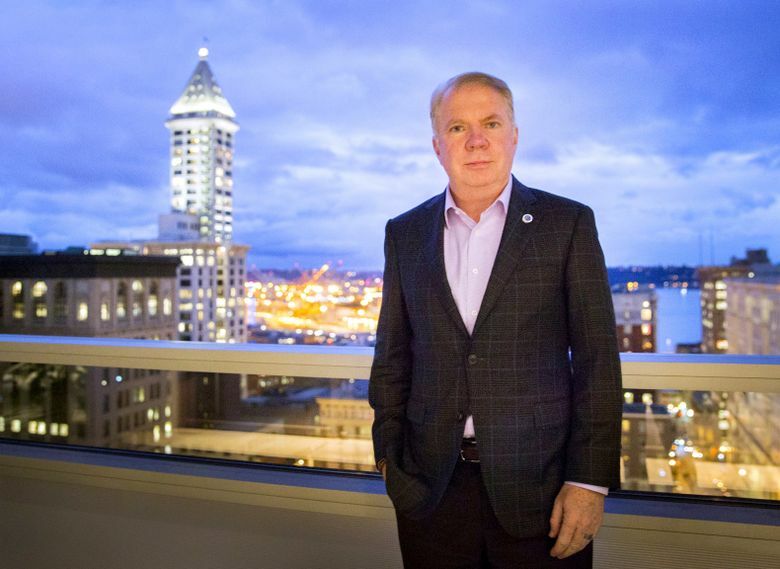 Ed Murray and Dow Constantine are worried about potential cuts to federal funding. When Seattle Mayor Ed Murray woke up the morning after Donald Trump was elected president, he knew his job had changed. 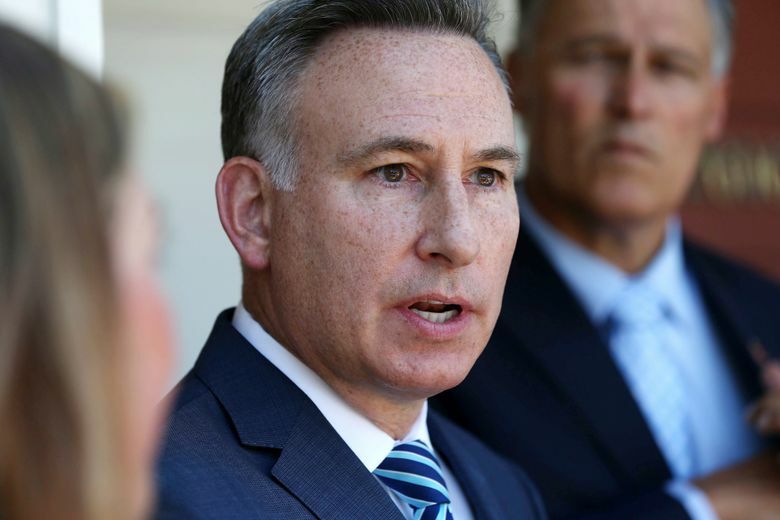 Across town, King County Executive Dow Constantine imagined the region speeding away from Trump’s America. Puget Sound-area voters were on their way to approving a $54 billion transit plan with 62 new miles of light rail. Murray and Constantine, leaders of a city and county as liberal as any in the nation, are just starting to grapple with the implications of Trump moving into the White House. Click here to listen to more episodes of our weekly politics podcast, The Overcast. They say they expect the Republican president-elect and a Congress controlled by the GOP to slash funding for programs that benefit the Seattle area. Trump has yet to take office, so their concerns are speculative — no one knows for sure what’s going to happen. But the mayor and executive are particularly distressed about losing money used to help poor and sick people. The city and county rely most heavily on Washington, D.C., for funding related to human-services and public-health programs. How much money flows from the nation’s capital to the city and county? Seattle spent more than $85 million in federal funds last year, not including dollars passed through the state, according to Murray’s office. The city’s total budget was more $4 billion. The largest federal contribution was $11.5 million for homelessness programs — part of $40 million used by the city’s human-services department. The city’s transportation department spent $14.8 million in federal money, while its housing office spent $12 million. The Seattle Police Department spent more than $9 million. Constantine says he expects reductions to programs tied to public health, homelessness and disease prevention. More than 200,000 people across King County could be affected if Trump and Congress repeal or scale back the Affordable Care Act. More than 90,000 people patronized the county’s dozens of public-health clinics last year. Trump’s plan for his first 100 days includes canceling all federal funding for so-called sanctuary cities. The term “sanctuary city” has no legal definition — and no city can forbid federal authorities from arresting and deporting undocumented immigrants. But Seattle and King County could be among jurisdictions targeted by Trump because each have policies limiting local involvement in immigration enforcement. Murray and Constantine have vowed to retain those policies despite Trump’s threat, and it’s unclear whether the president-elect would be able to carry out his promise. States and cities can’t be required to enforce federal law, and the U.S. Supreme Court has held that for Congress to impose conditions on the receipt of federal money, those conditions must be reasonably related to what the money is going to be used for. Setting aside the sanctuary issue, any cuts in federal funding to Seattle may take GOP leaders some time — because cities receive money via complex competitive processes, Murray says. Trump’s volatility is making the situation harder for the mayor and county executive to read, they say. The president-elect and his allies made contradictory statements during his campaign, and Trump has already begun to walk back some pledges. What’s that mean? The executive has met with his cabinet about imperiled funds, while the mayor has directed his department heads to report back on aspects of Trump’s 100-day plan. What neither Murray nor Constantine has yet is a specific plan to offset any reductions in federal funding. The mayor has talked about the possibility of asking voters to approve a new property-tax levy for homeless services. But this past week, he said he’s not certain. Requesting another levy could be politically challenging — and Murray has become convinced homelessness is intertwined with the heroin epidemic. For that reason, the mayor says the county, which oversees public-health issues, should be involved. Murray is still hoping for more help from the state and counting on some version of President Obama’s budget — including its $1.1 billion to address prescription-opiod and heroin abuse nationwide — to get through Congress before the end of the year. Another piece of Obama’s budget: $75 million for Seattle’s proposed First Avenue streetcar line. Trump has said he wants to roll out a $1 trillion infrastructure plan, but the GOP platform is anti-transit. Echoing the mayor, Constantine says it’s “too early to tell” whether higher property taxes might replace lost federal funds. In a worst-case cuts scenario, however, “We won’t be able to plug all those holes,” Constantine said. He says the 25-year Sound Transit 3 plan, which assumes $4.7 billion in federal money, will be able to move forward no matter what Trump does. Former Mayor Mike McGinn says Seattle should be looking for nonessential projects to shelve and should consider asking its successful corporate giants to step up. He says a per-employee tax and a higher business-license tax are options. Murray isn’t interested in tax hikes on businesses that he says wouldn’t raise enough money to make a difference. He says he’d enact an income tax, but state law doesn’t allow that. Perhaps as much as the dollars Seattle may lose, Murray is worried about people whose rights may be in danger, he says. The day after the election, he said marriage equality — “the rings on our fingers” — could come under attack. And he says he spent time with middle-school students afraid about deportation. “These kids were incredibly anxious, and it became clear … most or a good number were undocumented immigrants or had family members who were,” Murray said. The mayor says his education department is working on a strategy to help Seattle Public Schools support students from families that entered the country illegally.